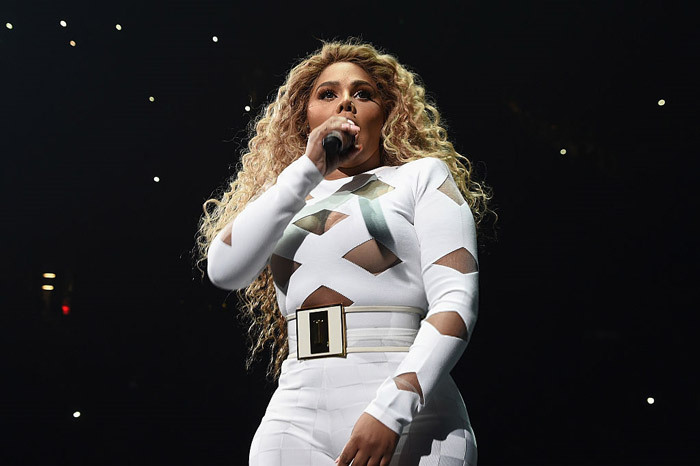 Only 2 weeks after getting a year ­long prison sentence for conspiracy and federal perjury, rapper Lil’ Kim, real name Kimberly Jones, is getting even with one of her long time friends who coincidentally help put her in jail. Lil’ Kim has filed a whopping $6­million federal suit against ex­Junior M.A.F.I.A. member James Lil Cease Lloyd, who testified against Kim during her trial. She is accusing him of using her name and image without approval for a DVD he was planning to promote. The suit filed on Monday in U.S. District Court alleged that Lloyd’s use of her name and image in the DVD titled “The Chronicles of Junior M.A.F.I.A Part II: Reloaded” resulted in a false endorsement, as well as false advertising. Due to personal and business differences, Lil’ Kim split with Junior M.A.F.I.A in 2001. Kim’s legal team says the rapper decided to file after Cease claimed the DVD will feature tell all interviews with her, and other former associates of the rapper. “The timing of this suit, has absolutely nothing to do with Lloyd’s testimony as a witness at her trial. It’s about protecting Lil’ Kim’s rights,” says Frank Salzano one of Kim’s attorneys. Lil’ Kim has already scored a point for her team. On Tuesday, U.S District Judge Jed S. Rakoff granted her a temporary restraining order prohibiting Cease, Junior M.A.F.I.A, and Ground Zero Entertainment from using her name or image in this DVD without her consent. Kim’s suit also seeks a permanent injunction blocking the DVD and damages against Lil’ Cease and Ground Zero for an earlier edition DVD titled, “The Chronicles of Junior M.A.F.I.A,” which was released last year and featured footage of Kim herself, as well as P. Diddy Combs, and the Notorious B.I.G. “This action is to protect her property rights, and brands against unauthorized use. We are expecting similar acts to follow,” says another member of Kim’s legal team, L. Londell McMillian. A hearing on the permanent injunction request is set for later this month.